But before we get there, let’s get acquainted. 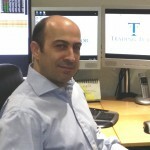 My name’s Neville Ali, the founder, course leader and, well, everything at Trading Tutor. Fifteen years ago I was running a chain of high street retail shops. I enjoyed the comforts of management, reaped the rewards and prospered, but the minutiae of the day to day was taking its toll. Having to deal with people’s moans and groans, the paperwork – all the paperwork – and the same four walls, I found myself in search of something else. One day I had finally had enough, so sold shop to the tune of a nice profit and moved on. It was tough, especially having built up my own little empire, but sometimes you need to just make a change. I twiddled my thumbs for a little while, holidayed in a few places, kicked back and relaxed, but, if you’re anything like me, you can only be idle for so long. I had to get back to work. My next move was onto property investment. Attending auctions, I would buy fixer-uppers and plough my time and money into turning them around for a profit. Whilst I enjoyed this time immensely, it was hard work and a long slog. I was up and out of the house first thing in the morning, back home late at night, chasing builders and brickies and planning permission and mortgage brokers and countless others. I realised that I was once again falling to the whims of those I was working with, expending my energy ineffectively, rather than being able to focus on achieving what I wanted. It was then, by serendipity, on a rather rainy Tuesday morning in March, that I stumbled across a flyer, pockmarked with droplets of water. My mind was captivated and I signed up straight away, buying a home study course that set me back a couple of grand. I’d spend the nights at home, after my day on-site,reading up on all the tips and tricks, memorising charts and techniques. Trying to absorb as much as I could. Then one day I thought I’d got it. Cracked the code. I ploughed a few thousand pounds into a trading account and set out to become a millionaire. I was wiped out in a couple of weeks. Needless to say I was disheartened, but I’d caught the bug. I needed to get back out there and assert myself. So I purchased another home study program. Rinse and repeat. Four courses later and £25,000 out of pocket, I was back at square one. Well, no, actually, I wasn’t back to square one – I hate that phrase. I was stood at the beginning of another path, looking to the future and trying to figure out how I was going to make it in the world of trading. Yes I’d made my losses, but I wasn’t ready to turn back now, not by a long shot. It was at this point that I met a gentleman who’d made his millions trading stocks and shares. At first, when he began talking about pattern recognition and sacred geometry, I was sceptical to say the least, but as I watched the market fluctuate, and watched the patterns of Fibonacci unfold, my eyes were opened. His system worked, not just once, but consistently, across the whole trading landscape. You see, the reasoning (on the most simple level) is that Fibonacci’s sequences are found everywhere we look in nature. From how the petals of a plant grow, to the way a hive of bees reproduce, these patterns present themselves everywhere. The reason why is mind blowing – but I better save something for my course! From there it was on to a live trading floor. Learning how to read tapes and live volumes, determining miniscule in and out movements, and understanding how to think and behave like a successful trader. And that’s what I became. It had taken me four years, £250,000 pounds and a failure rate of 95% to finally ‘make it’. To finally understand what risk means. To finally understand how to use it to my advantage. To channel my desires for success into actual success. And now I want to share that with you. Want to learn how to do it for yourself?